The Setra Model SRH300 meets the highest requirements in demanding climate control applications. 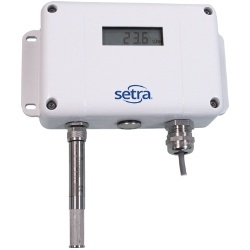 In addition to the accurate measurement of relative humidity (RH) and temperature (T), the Model SRH300 calculates various RH related parameters such as dew point, absolute humidity and mixing ratio. The Setra Model SRH300 meets the highest requirements in demanding climate control applications. 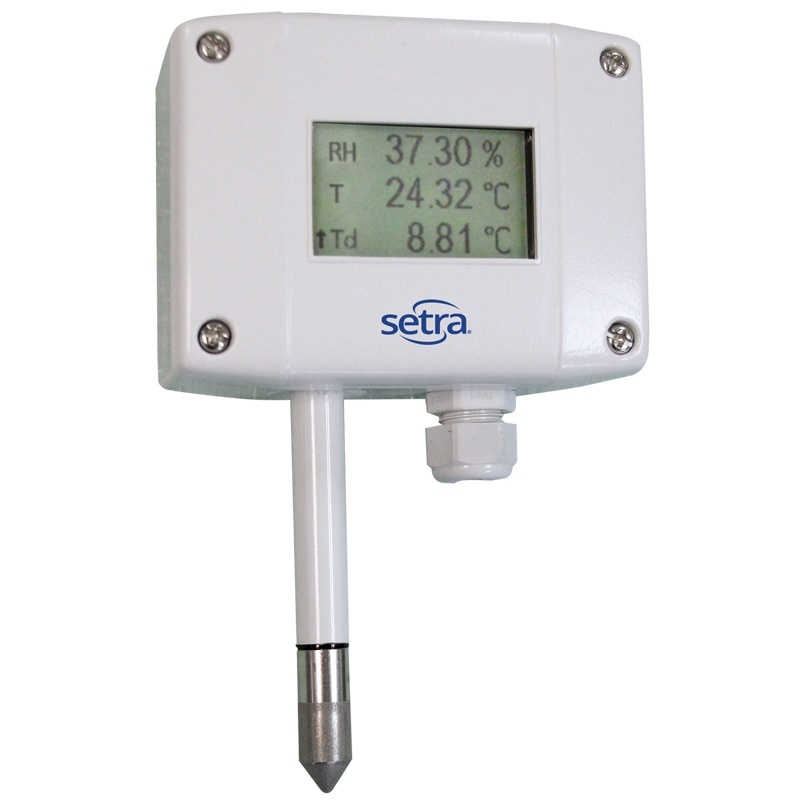 In addition to the accurate measurement of relative humidity (RH) and temperature (T), the Model SRH300 calculates various RH related parameters such as dew point, absolute humidity and mixing ratio. All measured and calculated values are available on the BACnet MS/TP or Modbus RTU interface. Two measured values are available on the analog voltage or current outputs, while up to three values can be shown simultaneously on the optional display. 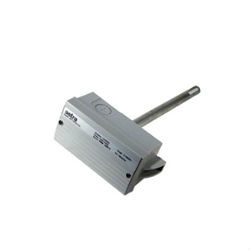 Excellent performance of the Model SRH300 in aggressive or polluted environments is ensured by encapsulating the measurement electronics inside the sensing probe. The Model SRH300 is available in wall or duct mounted versions as well as with remote probe. 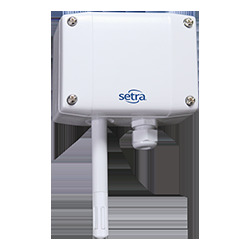 The IP65/NEMA 4 enclosure minimizes installation costs and provides outstanding protection against contamination and condensation.